Great Smoky Mountains National Park is among the most visited national parks in the United States and with over 100 species of trees native to the area, it’s not hard to understand why people love coming here in the Fall. With nearly 800 miles of scenic hiking trails and roadways, you could quite literally spend days on end exploring the forests and never run out of things to see and enjoy. 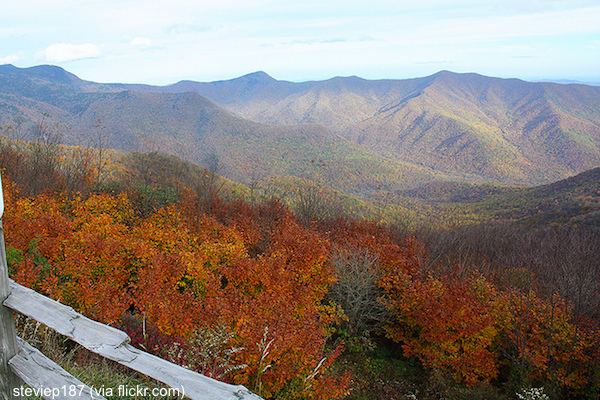 Great Smoky Mountains National Park is another great late-season leaf-peeping location with stunning views from early in October until the first week or two of November.